Day 27 of Thirty Days 2016 was a windy day in Colorado. I found myself out in Golden and as I walked around the downtown area I found myself walking through the Clear Creek History Park as some later afternoon was just over the foothills. The combination of this nice light and the old structures provided some nice opportunities to photograph and for a little while I took some images of the roof of one of the buildings. 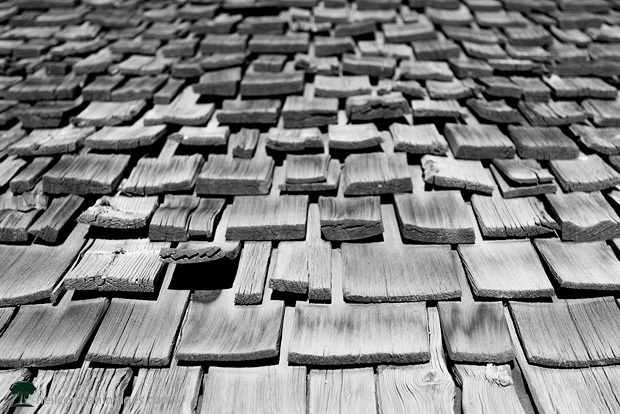 The patterns of the roof and one piece of wood sticking up more so is what caught my eye in this image.